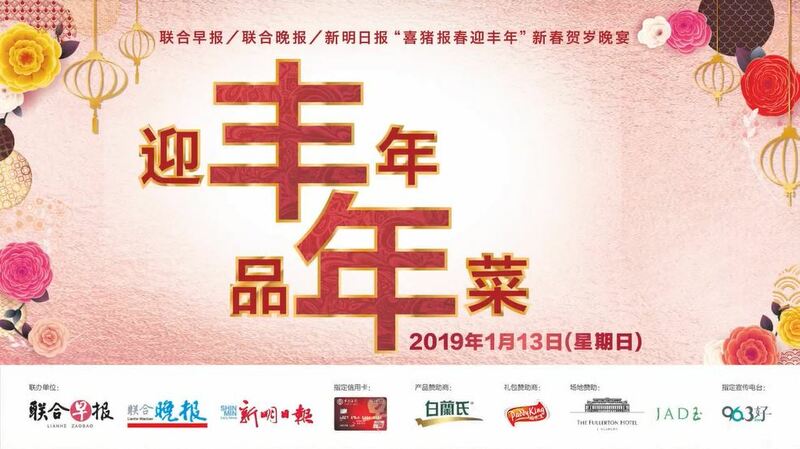 Lianhe Zaobao, Lianhe Wanbao & Shin Min Daily News celebrate the Year of the Pig! Together with over 400 readers, Lianhe Zaobao, Lianhe Wanbao and Shin Min Daily News ushered into the Year of Pig in advance at the annual Chinese New Year Celebratory Dinner held at The Fullerton Hotel Singapore on 13 January. Response was overwhelming as all seats were snapped up within 3 weeks of launch! Hosted by SPH Radio 96.3 Hao FM DJ, Anna and Deming, the dinner kicked off with a series of engaging fringe activities and entertained with performances by a LED lion dance troupe and cultural dance performances. The guests indulged in a 6-course delectable Chinese New Year menu specially curated by Chinese Executive Chef Leong Chee Yeng, Jade Restaurant complemented with fine wine. A special appearance by The God of Fortune delighted the crowd and loud cheers were drew when over $1,000 worth of lucky draw prizes sponsored by BRAND’S and The Fullerton Hotel Singapore were presented to 8 lucky winners. The dinner was supported by official card, Bank of China Zaobao card, product sponsor, BRAND’S Essence of Chicken with Cordyceps, venue sponsor, The Fullerton Hotel Singapore and Jade Restaurant and goodie bag sponsor, PaddyKing Brown Rice. For more information on partnership opportunities with Lianhe Zaobao, Lianhe Wanbao or Shin Min Daily News, please contact Rhonda Ho at 6319-2128 or e-mail swho@sph.com.sg.